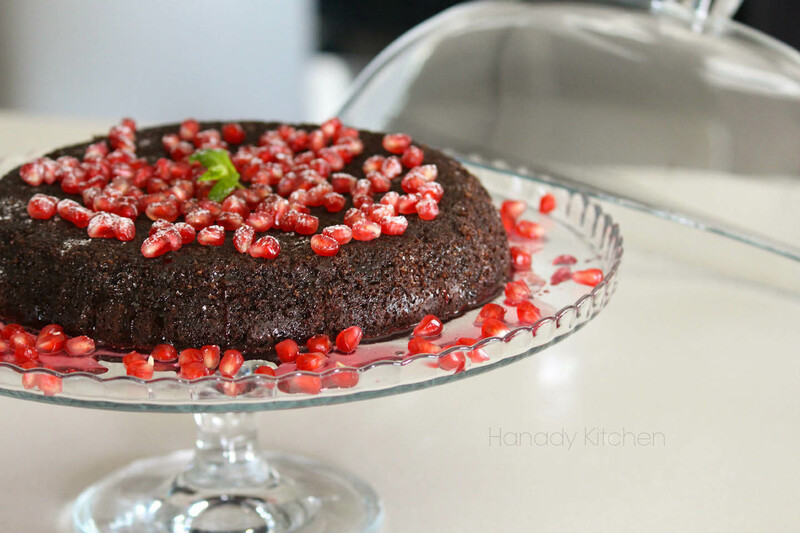 It’s pomegranate and olive season in the Mediterranean and nothing is quite as comforting at the moment as a chocolate cake combining these flavors. 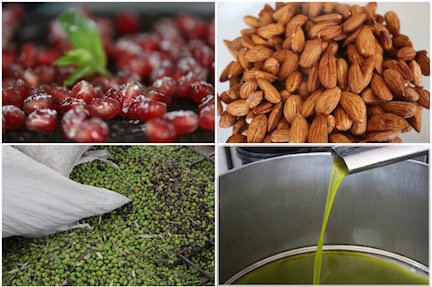 This comes from a passion of mine of bringing together nontraditional ingredients. When I was younger, I always loved challenging myself in the kitchen by creating dishes out of whatever we had in our pantry. On this breezy autumn day, it is fresh olive oil, almonds, pomegranates, and a bit of cocoa powder. I have been contemplating different ways to make use of the freshly squeezed extra-virgin olive oil that we have reaped from our olive trees. After testing it out in a chocolate cake, I cannot help but say that cake will never be the same. The olive oil combined with ground almonds creates a decadent texture that is difficult to imitate with traditional cake ingredients. 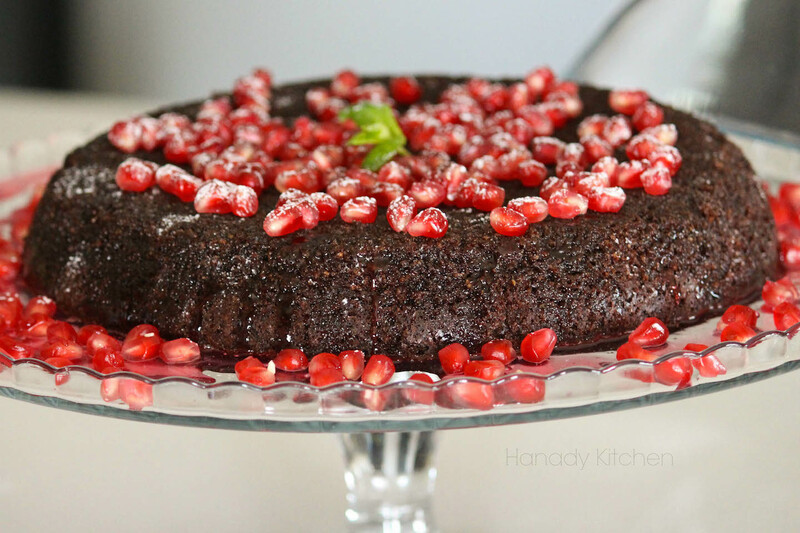 At the end, I top the cake with a homemade syrup made of pomegranate juice and rose water to enhance its flavor and aroma. I wish this becomes your autumn favorite as well. 2. Lightly grease a 9 in. round cake pan with olive oil and line base with parchment paper. 3. In one bowl, combine ground almonds, baking powder, and salt. 4. In a separate bowl, mix the cocoa with boiling water until it forms a smooth chocolate cream. 5. Add the vanilla and olive oil to the chocolate mixture and mix until well combined. 6. With an electric mixer, beat the eggs into the chocolate mixture one at a time, and then mix in the sugar for about 1 minute. 7. Slowly add the flour mixture into the liquid mixture and beat at low-medium speed just until well combined. 8. Pour the batter into your cake pan and bake for about 35-40 min, or until a skewer inserted into the middle comes out dry. Do not worry if the cake looks damp, this is meant to be a moist cake. 9. Let the cake cool for 15-20 minutes before carefully removing parchment paper.